Houston is known for many things (the fourth best grocery retailer in the country, some of the best food, the Houston Rodeo, our Medical Center, etc. ), but the diversity and plethora of museums tops our list as one of our favorite things about the city. Within mere miles from The Susanne you’ll find the Houston Museum District, which boasts the tag line something new, every day. Less than three miles from our Museum District apartments, the popular Museum District is made up of four walkable zones showcasing 19 museums, all within a 1.5-mile radius. Being so close to so many museums is one of our top-sellers, making an art-filled weekend only a few miles (or steps) away. We love the fact it’s free and so close, but we also love the bookstore and Bistro Menil. Spend one of Houston’s bright, sunshine-filled days at the museum taking in all the collections and exhibits and then head across the street for a fun picnic. There’s no better way to spend a Houston afternoon than exploring the museums or a picnic lunch outside (pro tip: snag a few bites at the Montrose H-E-B on your walk over, and you’ll be considered a Houston local in no time!). Also within walking distance from The Susanne is the Rothko Chapel, just .5 miles away. 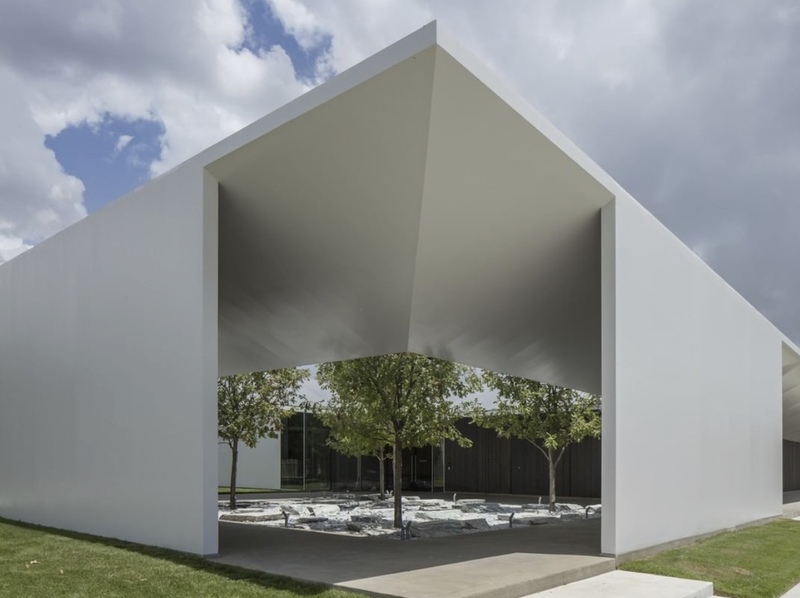 Located at 3900 Yupon (at Sul Ross) and open daily from 10a – 6p, the Rothko Chapel offers free admission and an incredibly unique Houston experience. According to their website, “The Rothko Chapel grounds are a welcoming, calming green space. The grounds act as an extension of the Chapel itself, making them an ideal place to reflect on your experience of the Chapel and the Broken Obelisk, or simply have a moment of solitude and escape from the outside world.” It’s dog friendly and equipped with bike racks to help you enjoy a perfect Houston afternoon mere minutes from The Susanne. The Houston Museum of Natural Science, located 2.5 miles from our Montrose apartments is another one of Houston’s most popular museums. Open Monday – Sunday from 9a - 5p, adult tickets are $25, but if you want to check out the permanent exhibits for FREE, you’re in luck! The permanent exhibits are free every Thursday afternoon from 2 – 5p where you can roam the Serengeti, walk with dinosaurs and more. Within walking distance from the Houston Museum of Natural Science you’ll also find the Houston Zoo, Children’s Museum of Houston, Moody Center for the Arts and The Health Museum, so it’s easy to make a family-friendly day of it. The Museum of Fine Arts, Houston (MFAH), is another popular attraction for visitors and locals alike, and only 1.5 miles from The Susanne. If you’re not a member of MFAH (members get in free for general admission), the typical cost for an adult is $15, but once again, Thursdays are FREE. If you have a college or military ID, you’ll also receive a discount. Not only are the exhibits out of this world, but it’s the perfect spot for early risers and night owls, open daily from 6a – 11p. Explore all the different museums and current exhibits here to help plan your day. If you’re into art and culture and want more ideas, be sure to check out these articles and itineraries from Visit Houston. Houston museums and beyond, don’t miss our updated Houston event calendar to stay-up-to-date on nearby events. Schedule a tour today by visiting our first-class Montrose luxury apartments at 3833 Dunlavy. You’ll find we offer convenience and walkability throughout Houston’s Museum District paired with five-star service, grand amenities and more. Or call one of our friendly leasing agents at 713.528.3300 to secure your new Houston home today.